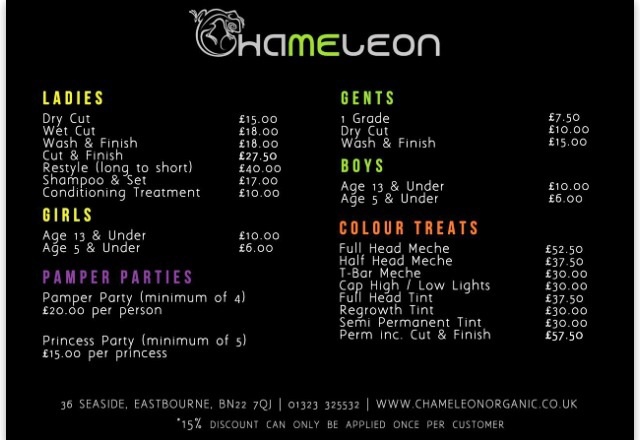 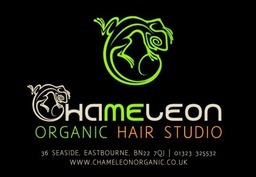 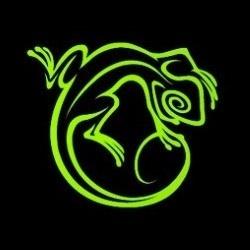 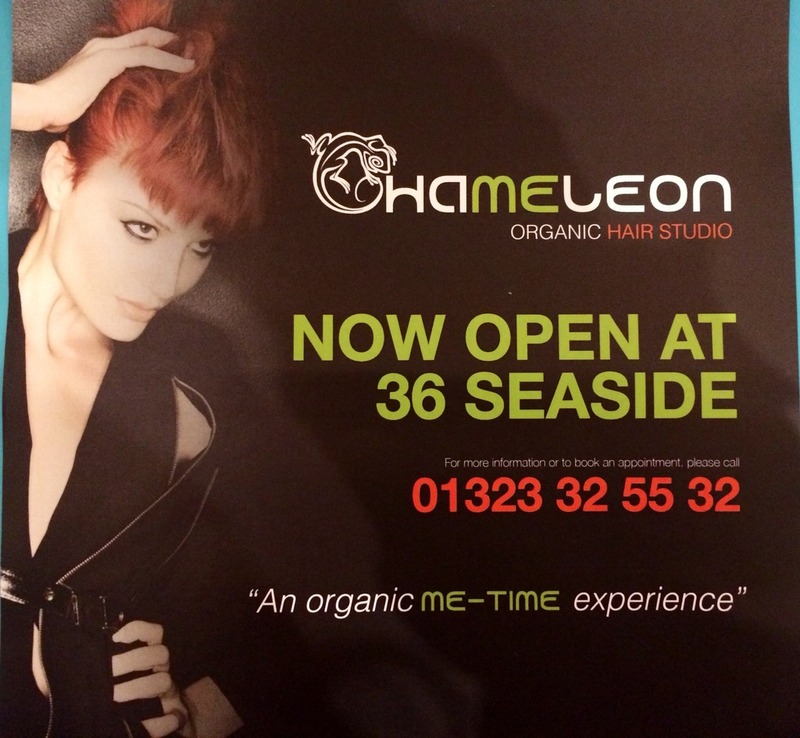 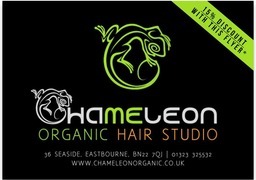 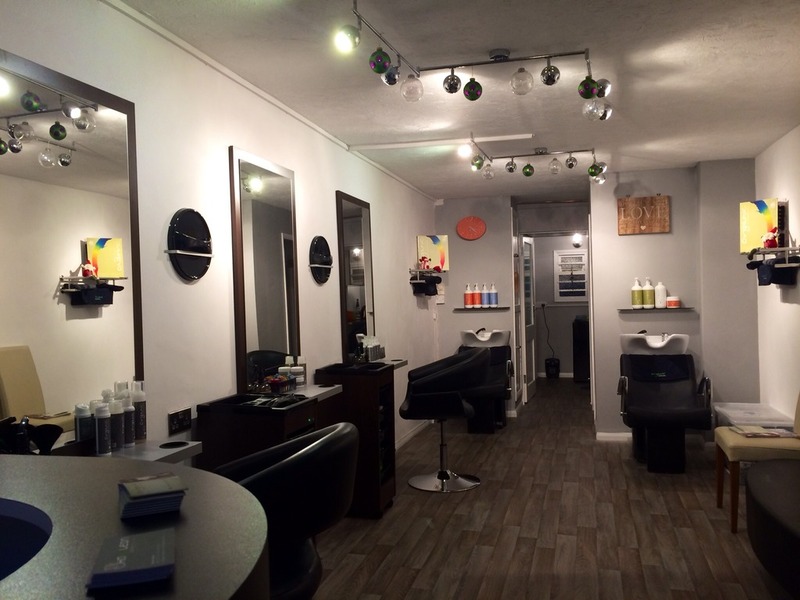 Chameleon Hair Studio is a new and unique business venture. We offer all aspects of hairdressing, the same as any traditional salon, but it just so happens that all of our products are made with certified organic ingredients. Today we are all so much more aware of harmful chemicals that are in the everyday products that we use and that are potentially damaging to our health. 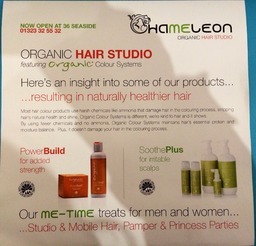 Conventional colours contain ammonia and PPD'S which damage the hair and are the cause of allergic reactions. 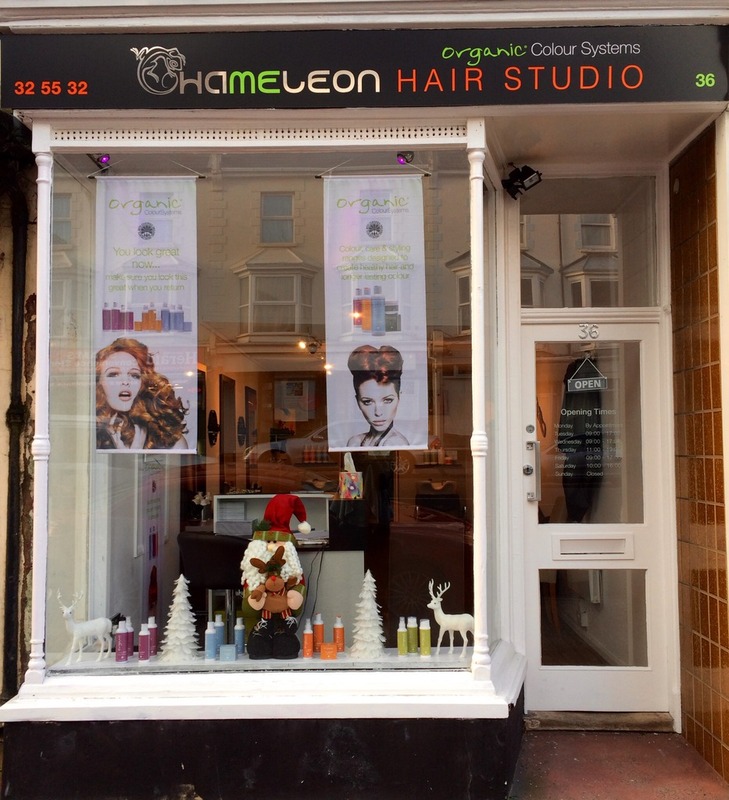 Our permenant colours have no ammonia and contain between 0.25 - 0.05% PPD'S which means you are 90% less likely to have a reaction. 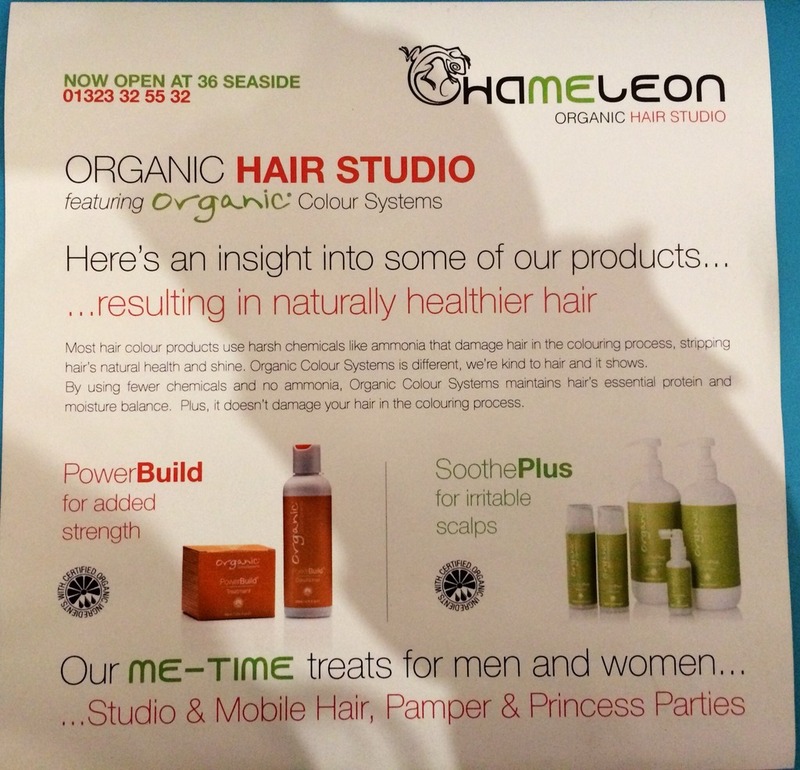 Our semi-permenant colours contain no PPD'S whatsoever, so no reaction at all, resulting in much healthier hair. 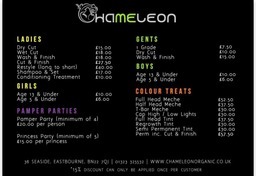 Our prices are very reasonable too, £27.50 for a cut and finish and £52.50 for full head high/low lights. 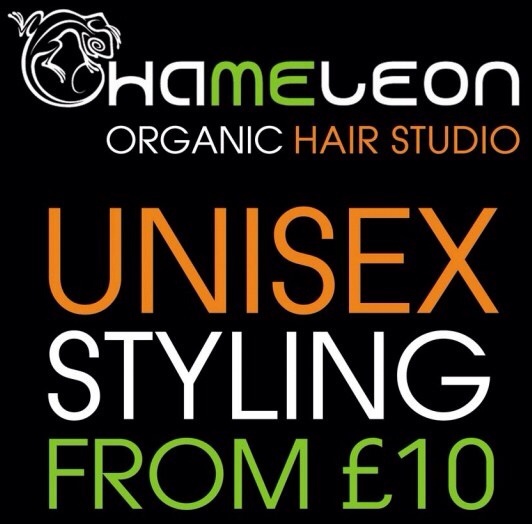 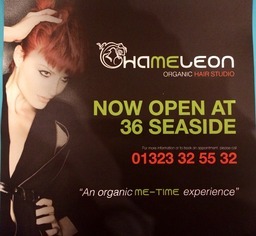 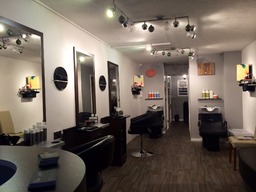 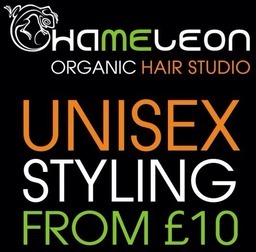 We are a unisex salon and welcome everyone to try our new concept, with an opening offer of 15% discount on any service.